Your resume is your chance to make a good impression. It is very important. Without a ‘stand out’ resume you will probably be knocked back for the position, in fact your application will probably not even be considered. There is stiff competition for jobs in today’s job market; you absolutely must have a resume that stands out in a crowded playing field. Without it, you will not make it the interview. The importance of an outstanding resume can’t be overstated: your resume will get you a foot in the door, or it will disappear into the pile marked ‘rejects’. Your resume is so important that is worth having a professional eye look over it. There will be a local recruitment agency that can do that for you. It will help if you are using a recruitment service as they will be very familiar with the type of position you are applying for and can apply their specialist knowledge in assessing your resume. Every industry has its own buzz words. Find out what they are for the industry you are seeking to enter, and use them. Check out the organisation’s website and also that of competitors. Look at their staffing pages and look up key staff on LinkedIn. Do your homework. Find out what key words will resonate with your prospective employer and use them. Many people have a standard resume that they simply tweak each time they apply for a job. While this is passable it is not going to make your resume stand out. Think about what the employer wants to see in your resume. Your prospective employer is like your client, and you are preparing a marketing pitch to this client. Do not be egocentric in your approach. It is not all about you! It is about what your employer is looking for. Your resume is your marketing pitch: target it at the employer specifically. What in your work experience or skill set is particularly relevant to this position? Highlight these things and chop back on some of the less relevant details. Only what is relevant to the position will really speak to the employer, so cut the clutter. Your resume is your chance to put your best foot forward, so maximise it. 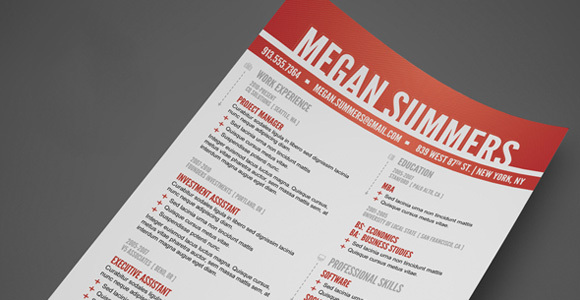 Something that will give your resume that stand out factor is starting it with a professional profile. It is worth getting expert help to create this. Your profile should inform the organisation of the value you will bring to their team. This piece should be original, not a rehash of your cover letter or part of your resume. See what professionals in the industry are saying in their bios or profiles. Get cutting edge with your professional profile. If properly done, it will have a positive impact on your application.